I have put the server up with a selection of cars to try. Please let me know of any cars you would like tested out . I don't know what cars are on the server, but what about that old Porsche (Spyder?) race car. That's good fun. Ah nice. I posted about this one a while back when it was still in development. The guy did say he'd look into doing an S2000 which I'd like to see an an ex S2000 owner. What version of the track is on the server? I have 1.3 and keep getting checksum fails. Server worked fine for me last night. 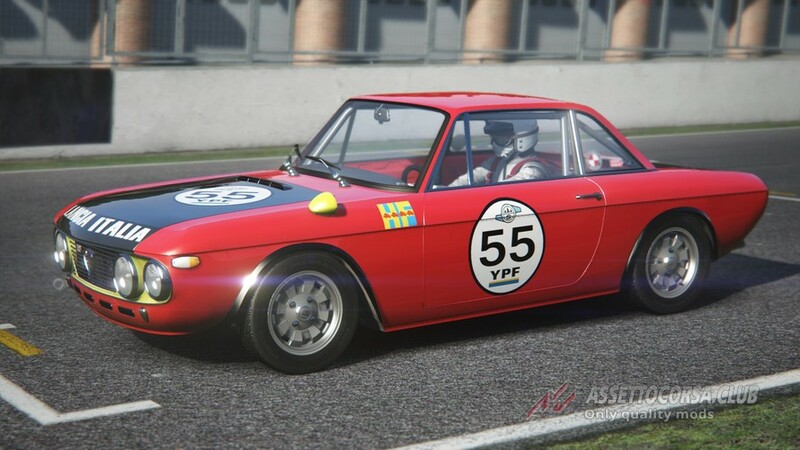 Could we please evaluate this mod from http://www.drivingitalia.net/index.html it is called AC Legends Pack 8 cars 1.10.2 sound fix. The 69 Corvette sounds and physics are just brilliant. The sound on Shelby Daytona Coupe has some problems but the rest of the cars are good. I used Zolder 67 as my test track but any flowing track would do. This mod has had 4500 downloads in 20 days, can't be too bad. I think you will find this a nice xmas present Bruce. They also have other mods available including a Trans AM group of cars which I also like. Legends Pack are all rips and are running Version 6 of the tyre model. They also feel pretty same same from car to car to me. Didn't all cars feel the same back then? Keep the positive feedback coming. A rip is OK if it is not dodgy, right. Tor Poznani has been updated today, 20 Dec!